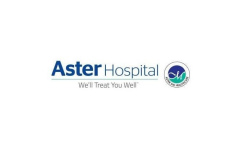 Business description - Aster DM Healthcare is one of the largest private healthcare service providers which operate in multiple GCC states based on numbers of hospitals and clinics. The company currently operates in all of the GCC states, which comprises the United Arab Emirates, Oman, Saudi Arabia, Qatar, Kuwait and Bahrain, in Jordan, in India and the Philippines. The company’s GCC operations are headquartered in Dubai, United Arab Emirates and Indian operations are headquartered in Kochi, Kerala. The company operates in multiple segments of the healthcare industry, including hospitals, clinics and retail pharmacies and provides healthcare services through various brands “Aster”, “Medcare” and “Access”. The company commenced operations in 1987 as a single doctor clinic in Dubai established by founder, Dr. Azad Moopen. The company was incorporated in 2008 in a reorganisation to facilitate the growth of its operations, subsequent to which operations in the GCC states and India were consolidated. The company had 149 operating facilities, including 10 hospitals with a total of 1,419 installed beds, as of 31 March 2013 and has expanded to 316 operating facilities, including 18 hospitals with a total of 4,651 installed beds, as of 31 March 2017. Further, it entered into an operation and management services agreement with Rashtreeya Sikshana Samithi Trust in Bengaluru effective 25 February 2017 to provide operation and management services at a hospital in J P Nagar, Bengaluru. In August 2014, it launched Aster Medcity in Kochi, Kerala, a multi-speciality hospital with a 670 bed capacity, to be positioned as a destination for medical value travel. near Kothad Bridge, South Chittoor P.O. Aster DM Healthcare IPO allotment status is now available on Link Intime's website. Click on this link to get allotment status. Not a bad business but the price is too high! Thanda IPO, no excitement around it!! what was the ebitda for the previous years of the comapny? @bullishbear. You are right, I’ve never made profits in hospitals and have now made it a point to stay away from these stocks. Aster may be good but I love my money!! Bad timing. This year is going to be bad for IPOs.